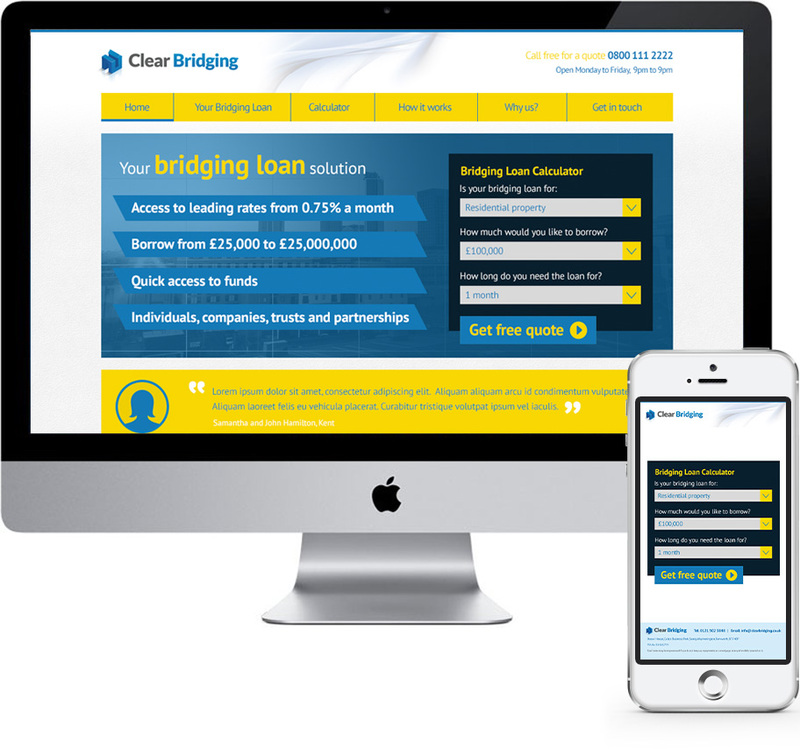 Clear Bridging is a new company setup primarily to help clients fund their next property purchase. Bridging loans are a short-term funding option used to ‘bridge’ a gap between a debt coming due and the main line of credit becoming available. 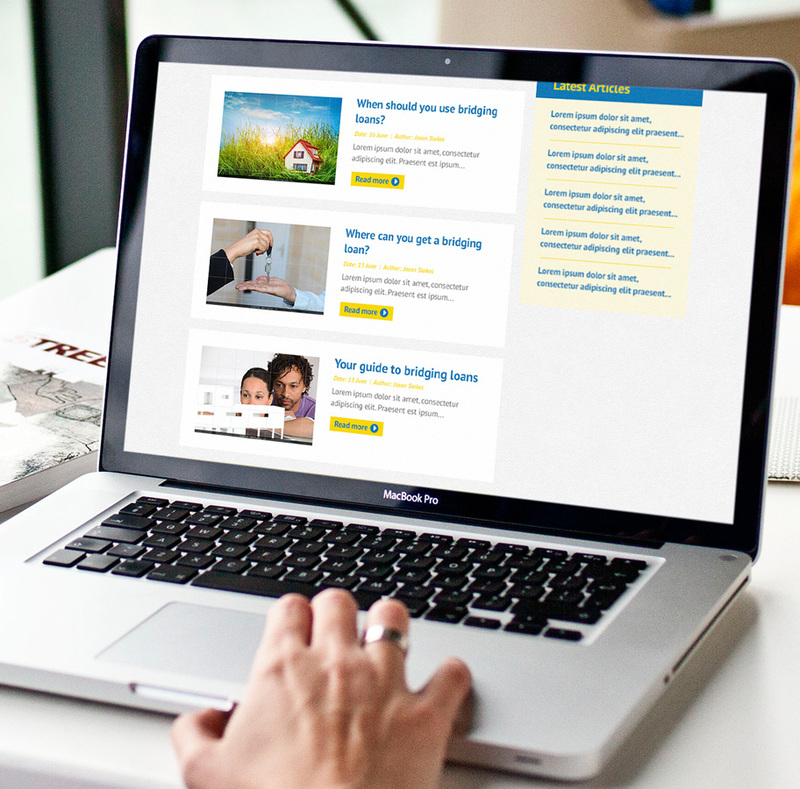 This website design lets the user test their eligibility via the home page loan calculator and acts as an information portal for this particular funding option.